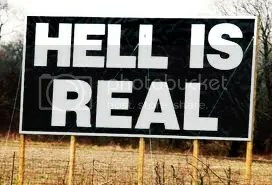 Jesus taught on hell, and He did so to warn people not to go there. 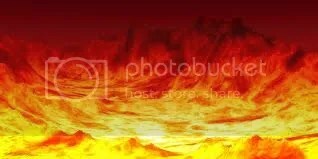 Hell is depicted in Scripture as a very nasty place from which there is no escape. The punishment of the wicked dead in hell is described throughout Scripture as “eternal fire” (Matthew 25:41), “unquenchable fire” (Matthew 3:12), “shame and everlasting contempt” (Daniel 12:2), a place where “the fire is not quenched” (Mark 9:44-49), a place of “torment” and “fire” (Luke 16:23-24), a place where “the smoke of torment rises forever and ever” (Revelation 14:10-11), and a “lake of burning sulfur” where the wicked are “tormented day and night forever and ever” (Revelation 20:10). Surely, a loving and compassionate Savior could not be so described if He failed to warn us about hell. But Jesus is certainly loving and compassionate, and He presented the joys and bliss of heaven and was clear about the only way to attain them. “I am the Way, the Truth, and the Life,” He said. “No one comes to the Father but through me” (John 14:6). The apostle Paul was equally blunt about the fate of those who rejected the gospel of salvation through Christ alone. They are condemned to “everlasting destruction” (2 Thessalonians 1:8-9). Not only is there a place for teaching about the fires of hell and the only way to escape them, but true preaching of the gospel of Christ is not complete without it. If today’s pastors and preachers are to be consistent with the Scriptures, preaching and warning their flocks about the fires of hell must be part of their message. Too often, people are invited to come to Christ so He can ‘fix up’ their lives, make their marriages better, or provide health, wealth, and prosperity. But this is not the message of the Bible. We come to Christ for forgiveness of sin, the very presence of which in all our hearts is a sure one-way ticket to hell. A balanced, biblical message consists of the reality of hell, a warning to escape it, and the only way to do so—through the shed of Christ on the cross for our sins. 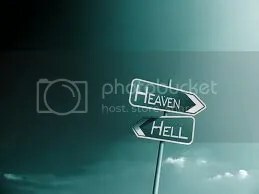 The problem of denominations these days (Roman Catholics included) is no one speaks of hell and sin and quite frankly that is a disservice to people. People seem to , instead, want to put their head in the sand and think everything is rainbows, unicorns, holding hands and singing kumbaya. Everyone is happy and lovey dovey and we all worship the same God (new age thinking). There is only ONE gospel and ONE way to salvation. If you don’t follow it you go to hell. It is really that easy. Therefore loving people to speak of sin and hell because they love people enough to NOT want them to go there. To warn a person they may is REALITY FOLKS. WAKE UP. Too many churches do not make this a reality. The Joel Osteens and Rick Warrens of the world, as well as the Vatican, would rather preach unicorns and rainbows, diet plans based on the book of Daniel,and everyone adores the one true God, rather than the true gospel of our Lord Jesus Christ. This is the sad state of “Christianity” today. Jesus did not die on the cross so we can hear self help messages or how to lose weight eating foods like Daniel did. His gospel message told that HE was the only name by which man can be saved, not that false religions worship the God of the bible. Yet people fall for this nonsense, week after week in their churches, and go home feeling so good about themselves and feel refreshed for having gone to church. To me, this boarders on pathetic.